Here you'll be able to follow clear walkthrough guides to help you get the most out of your website and hosting experience. If there's anything we can do to help, let us know! Shared Hosting and Reseller Hosting customers can enable Cloudflare right through their HostPapa cPanel using the one-click activation. If you have purchased SiteLock Perform or SiteLock Shield, CDN is already included in your plan and there is no need to enable or sign up for another CDN product. Go to My cPanel via your HostPapa Dashboard. Scroll until you find the Software section. Click on the Cloudflare icon. If this is your first time accessing the Cloudflare interface, you will be asked to create a free account. Provide your email address and agree to the terms of service once you have read them. You will then receive a welcome email by Cloudflare for your HostPapa account. Once your account is created, you will be taken to the Cloudflare interface which lists all of your DNS records. By default, Cloudflare will enable some records. Click here to find more information about DNS records. 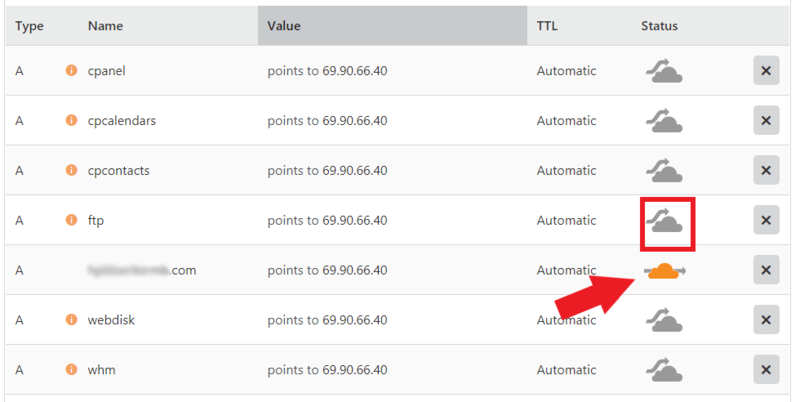 To enable Cloudflare for any of the records, simply click on the cloud beside it. Once selected, Cloudflare will be enabled and the cloud will go from a grayed-out image to bright orange. Then, click Continue at the bottom of the page. Cloudflare will ask you to change your nameservers. Copy the new nameservers and paste them to your DNS information. Click here for instruction on how to change and update your DNS nameserver. The next page will show your setup information. Click on Re-Check now at the bottom. Once enabled, you can select Statistics and Settings to view the traffic for your domain and also to modify the security settings. To view all of your available options, you must log in to your Cloudflare account directly. 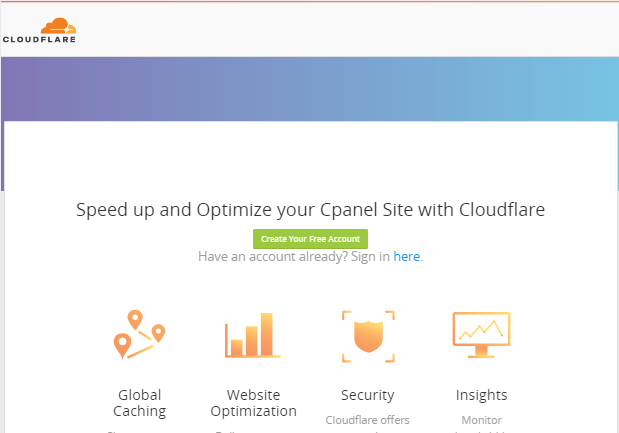 Your site has Cloudflare enabled now. To disable Cloudflare for any or all of your domains, simply select the orange cloud again and it will be grayed-out. Notice that if you are a Business Pro client, Cloudflare Railgun is also enabled. Cloudflare Railgun speeds up the loading of web pages without cache. It opens a secure connection between the Cloudflare network and HostPapa’s server to speed up the dynamically generated content or the content that cannot be cached. With this option, the authoritative DNS (HostPapa’s server) is managed by Cloudflare. 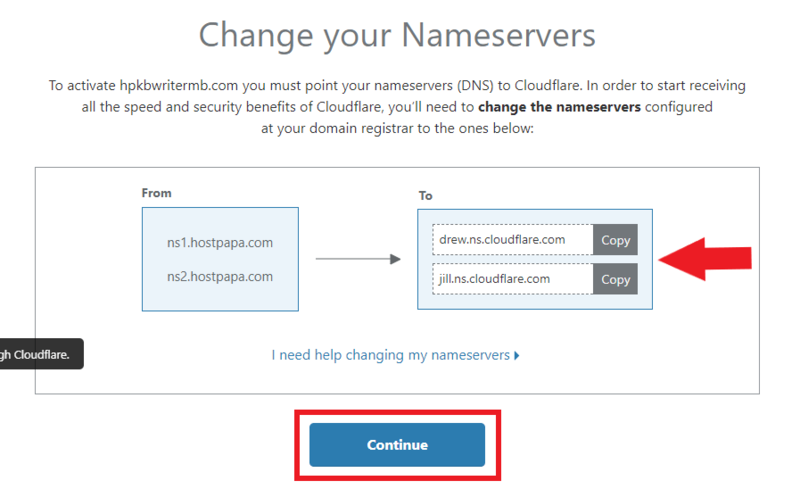 To use the Full DNS setup, you need to configure the DNS settings to point to Cloudflare’s nameservers for authoritative DNS by updating HostPapa’s nameservers after you add the domain to Cloudflare. To use a CNAME setup, you don’t need to change the authoritative DNS. Instead, you would need to proxy a subdomain to Cloudflare through a CNAME record. Notice that the traffic of the root domain cannot be proxied or protected through a CNAME setup. I.e. www.yourdomain.com can be proxied but yourdomain.com cannot. For further questions, or if you need help, please open a support ticket from your HostPapa Dashboard. Click here to learn how to do it. Was this article helpful ?